A comprehensive advocacy program helping companies to set goals, institutionalize policies, measure progress and achieve results, the PAR Initiative showcases best practices in achieving stronger gender diversity. 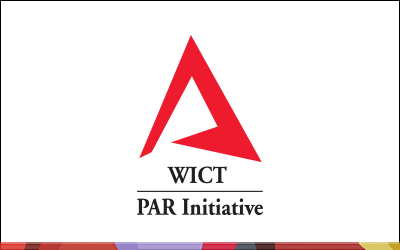 With a goal to improve diversity metrics for women, the PAR Initiative is supported by all of WICT’s local chapters and underwritten by the Walter Kaitz Foundation. Mercer will independently manage the development of customized reports for each participating company. 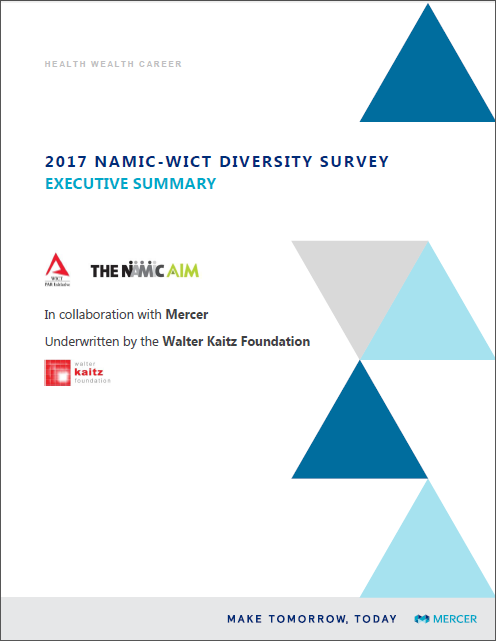 Overall findings from this research initiative were presented by NAMIC and WICT during a Town Hall Meeting on September 26, 2017, in New York City as part of the industry’s Diversity Week.WICT has once again partnered with NAMIC on a joint survey for the next editions of the NAMIC AIM and the WICT PAR Initiative. Click here to download the 2017 AIM PAR Executive Summary. 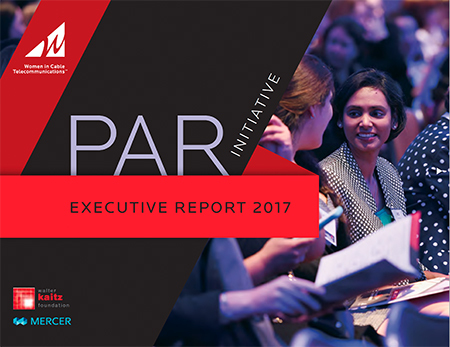 Click the image above to open the online version of the 2017 PAR Executive Report. The 2019 survey is underway – to learn more about how your organization can participate, tune into the informational webinar linked here. The slides from the webinar are also available for download here. Surveys must be completed by March 15, 2019. The AIM PAR Executive Summary has been updated to reflect the most current data. If you downloaded the Executive Summary before October 10, 2017, please discard the prior version and use the revised version below. Click here to view past PAR Initiative research.